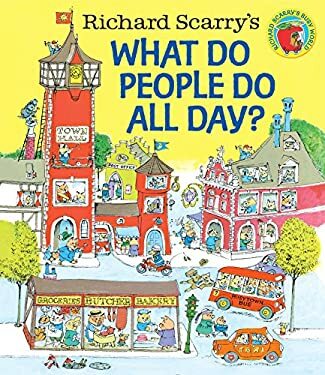 Find out what everyone in Busytown does all day in this Richard Scarry classic! Go on a fun visit to Busytown and find out how everyone spends their days. Full of fun and adventure, this classic picture book will keep the attention of little readers from page to page as they find out how construction workers, fire fighters, farmers, doctors, and more, help Busytown run smoothly each and every day.